Les Gets may sometimes be overshadowed by its bigger neighbour, Morzine, but there’s much more to it than you may first think. Les Gets has always been a great choice for families, with a slightly quieter atmosphere, it is well suited to those who wish to have a more relaxed time. Les Gets sits between the Mont Chery and Chavannes slopes and has some excellent skiing on offer. Not only that, it is also home to the World Cup Downhill bike track in the summer. That’s some almighty reasons to make sure your next family holiday is in Les Gets. 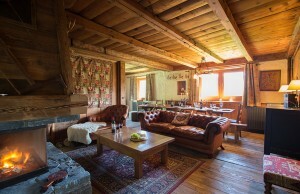 Even better when you can stay in our exclusive “Farmhouse” chalet (pictured above).